This almost looks interesting. Yet it seems a bit slow for a Dragon Ball game. I've never seen a Super Saiyan walk/run so much. Where is the flying?! I will have to keep an eye out for more in the future. I can't wait until I get my power level over 9000! I can't wait to get my hands on the beta when it's available in America. I've been waiting for this game for 4 years! I'll probably check it out once that patch comes out, it'll be a nice little nostalgia romp at the least. Where the hell has it been hiding this whole time? In the same place as my constantly dwindling interest in Dragonball? I'd so be a Namekian. Piccolo was always my favorite character. I already played it, due to a mod that translate anything into english. I figured out you can't fly because there is no option to fly. The developers will on the other hand include flying. I'm damn near shock that the escapist covers something this old. The open beta thing was cover back in december of 10 and I played it back in March. It not a bad game, in fact it better then most MMO's. Mandarin will be difficult, but i will try to get as far as i can. 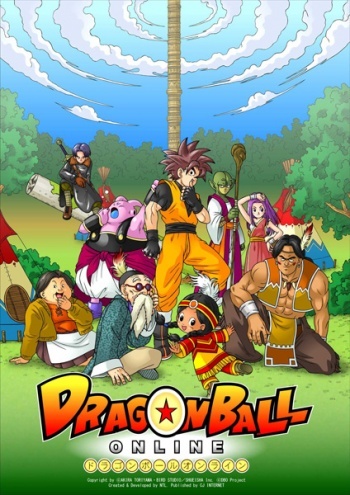 Hmm... Dragonball just doesn't seem like the kind of series that lends itself well to MMO. Fallout, though, that I would like to see.